Hose/Conveyors got its origins in 1970 when Bud Chase met the demands of the Sand & Gravel Industry. They expressed a strong need for a company specializing in conveyor belting and conveyor components and one with a clear understanding of the requirements of their industry. Right from the beginning, Conveyors, Inc. (as the company was known in those days) placed an emphasis on customer satisfaction—from meeting their needs to providing quality conveyor products at good values. In the late 70’s Bud’s son Dave Chase joined the company and, again responding the marketplace, expanded the existing conveyor belting and conveyor components line to include many more industries. John Adams joined the company in the early 80’s to help start up Hose, Inc. Hose, Inc. specialized in hydraulic hose and industrial hose for the OEM, MRO with distribution covering the upper Midwest. 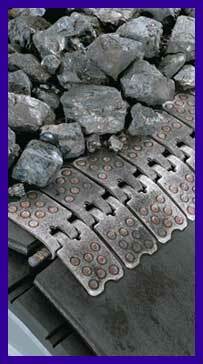 As a conveyor belt specialty house, it wasn’t long before customers started asking for conveyors. Once again, the needs were met with the addition of conveyors and Hose, Inc. quickly expanded into system automation and robotic palletizing. The conveyor market grew exponentially and the natural transition was that another company, PAC (Packaging Automation Corporation) was formed. PAC met the market demand for conveyors, packaging equipment and robotic palletizing systems. As time went on, the three companies grew in conveyor related products, services, and size by focusing on their customers’ needs and moving in the direction they requested. John Adams retired, Jay Adams joined the management team (and took over the day to day operations) and Dave Chase took over Bud’s responsibilities. In 2001 all three companies were merged together into Hose/Conveyors Inc., with Packaging Automation Corp as a division of HCI. Merging the companies brought the synergy of all three conveyor related products divisions together under one name, again a natural transition making customers top priority. Today Dave Chase is the sole owner of Hose/Conveyors Inc.
All through the years, as the companies grew and expanded, developing key employees was critical. All of the management team at Hose/Conveyors Inc. has between 10-35 years of service with the company and are leaders in the conveyor products industry. The total experience of the management team exceeds 125 years at Hose/Conveyors Inc. alone and over 150 years in the industry. As clearly shown in the company’s Vision, Mission and Values Statement, the commitment to exceeding customers’ needs has not changed. Today Hose/Conveyors Inc. brings the unique blend of specialization in material handling, Fluid power, power transmission and Packaging Automation. Why not work with the most sought after provider of hose/conveyor products and precision machined/die cut parts in the Upper Midwest? Contact Hose/Conveyors, Inc. today—we guaranteed you’ll be glad you did.